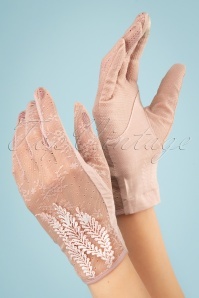 These 40s Ruth Lace Gloves in Black are super chic! You're enjoying a cup of tea when the Lord asks you for a nice autumn walk around the villa. But of course my Lord! While getting your umbrella you put on these beauties. And look, they even have a anti-slip grip panel so you can take your cup of tea carefree ;-) Made from a soft, stretchy, black fabric with elegant flower lace, embroidered flowers and a cute bow. Fancy, just like Downton Abbey! die Qualität lässt zu wünschen übrig. Die Handschuhe ziehen schnell Fäden, was nicht so schlimm wäre, aber leider sind meine an den Nähten auch gerissen. Hallo Franziska, wie ärgerlich dass die Handschuhe kaputt gegangen sind. Ich melde mich gleich bei Ihnen damit wir die Sache klären können! 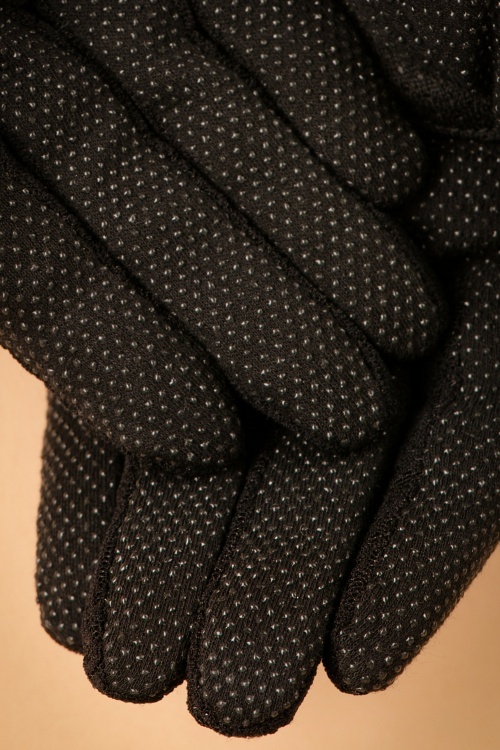 Gorgeous gloves that I get loads of compliments on, ever so slightly short in the fingers for me, but I do have long fingers. Not the nicest feeling gloves to wear since they have the grip bits on, but I do appreciate them when something needs grabbing! Belles chaussures originales et confortables! On glisse dans les nuages! Gants et vêtements de bonne qualité, avec de belles couleurs, prêt-à-porter pour toute occasion. Toujours amoureuse de TopVintage. C'est mon pêché mortel !!! Everytime I see the merchandise at TopVintage, I can't stop myself and I have to buy something!! Just love you guys !! Très belle paire de gants. Parfait pour la saison qui arrive. Cependant, attention si vous avec de grandes mains, j'ai de petites mains et je les trouve un peux serrés. Mais je pense qu'à force de les porter le tissu va se détente.